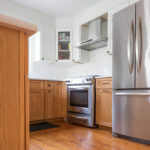 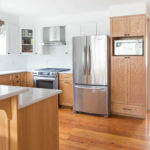 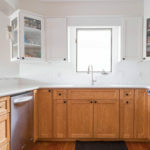 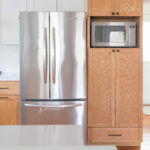 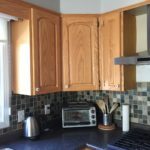 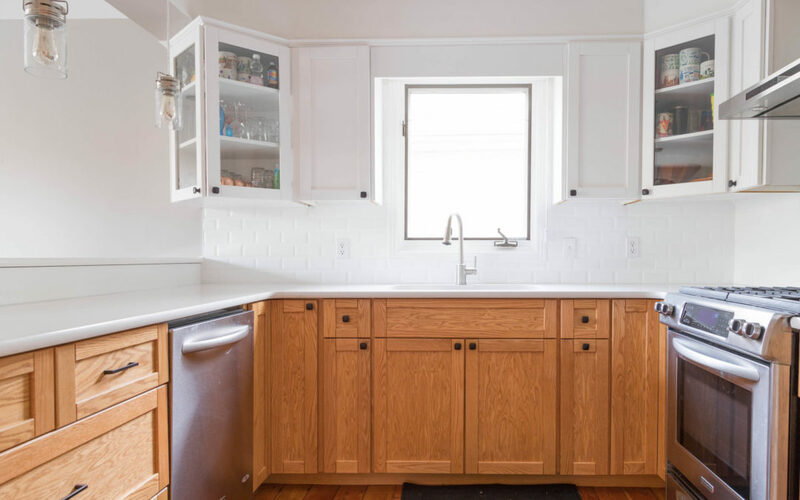 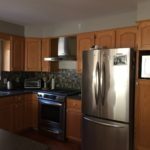 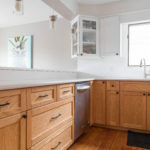 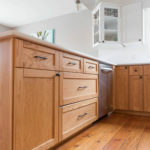 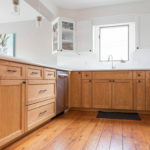 The client wanted to keep some of the original oak detailing so instead of replacing everything, we went with a two tone kitchen: honey oak lowers and designer white uppers. 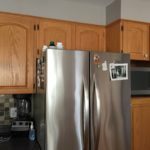 The doors are a V-Groove shaker. 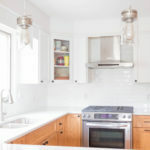 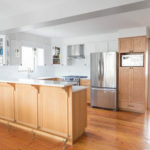 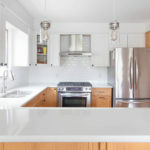 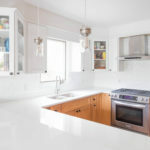 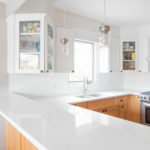 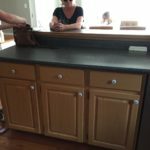 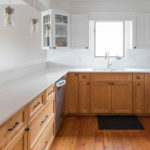 The counter is a Bianco Canvas from Hanstone. 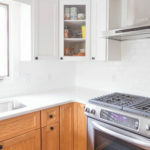 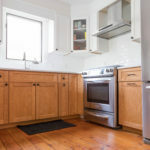 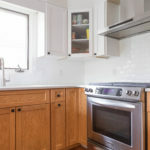 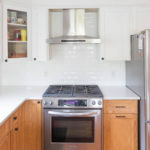 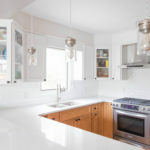 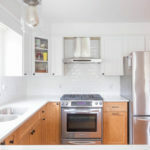 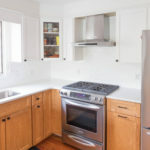 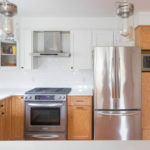 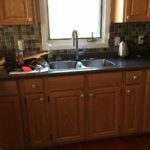 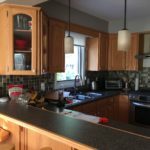 The backsplash is a bevelled white tile.